Day tours from St Petersburg give you a wonderful opportunity to explore our Russian countryside, visit other exciting cities, and experience some of Russia's most historic sights. Combining a visit to St. Petersburg with a side trip to the scenic countryside, or at any of the stunning summer residence of the Russian tsars nearby the city is something you shouldn't miss. When you leave the city, you can expect to see an appealing rural scenery that will blow your mind (millions of birch trees, charming medieval towns, old commanding forts, magnificent churches and parks awaits you). Starting from the left, a photo of the countryside of Veliky Novgorod; following from the top, a photo of us taken in Kronstadt; then the Vyborg Castle in Russia. You should know that Saint Petersburg is full of lesser-known places to visit, so there are a lot of fascinating private tours that can be done in a few hours, or in a single day, and at any time of the year. These day trips are easily reachable by car, by train, or by boat, and are easy to plan since the destinations are not too far from the city. For example, in less than sixty minutes drive you can reach Peterhof and Pushkin, two of St Petersburg’s most beautiful and famous spots; or you can get to the enchanting Pavlovsk, Gatchina, or Kronstadt, three must-see remarkable sights often off the tourist radar. 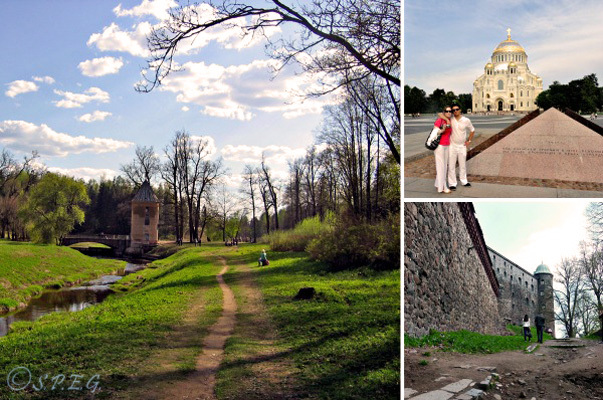 One of our favorite day trips include a visit to Tsarkoye Selo, Peterhof or Pavlovsk. Anytime we go there, usually in Summer, we enjoy a pleasant stroll, magnificent views, eat out or even have a picnic somewhere in the park. 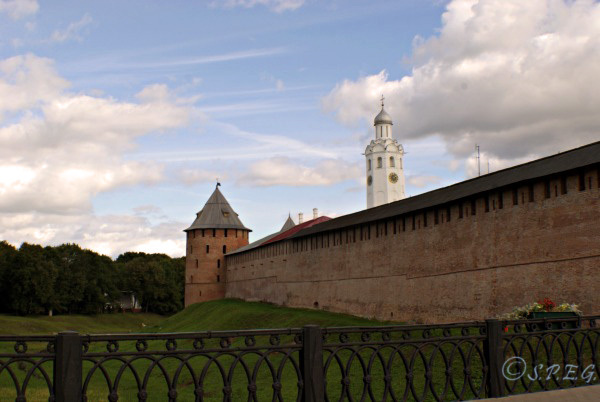 But we also have been in Velikiy Novgorod and other places out of the city, which we strongly recommend! Fitting in any of the Day Tours from St Petersburg listed on this page will definitely enrich your Russian vacation and give you a better perspective of the beauty, majesty and history that lie just outside our beautiful city of Saint Petersburg. 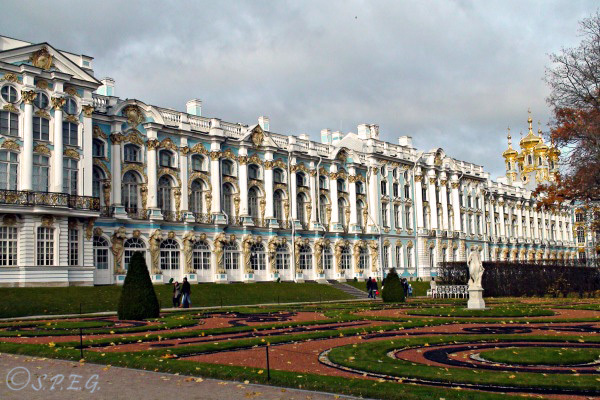 Take a look below at our top list of day tours from St Petersburg. And remember, wherever you choose to go, you'll be enjoying natural beauty, striking old Russian architecture, intriguing history and fresh air - plus you'll have a lot of fun. To get started just click on the links. 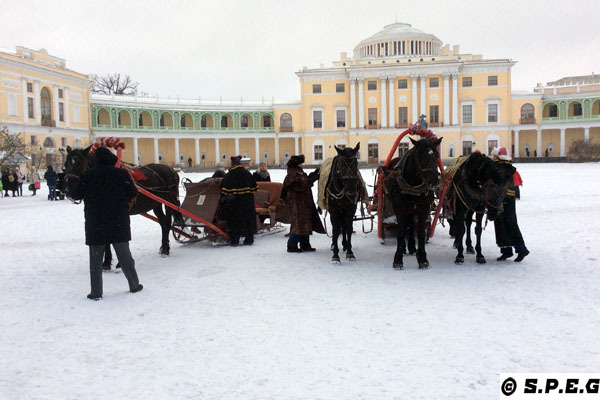 A day tour to Tsarskoye Selo gives you the chance to walk into a majestic gem of 18th century architecture and get a sense of the royal family life in the imperial dynasty. From the spectacular Catherine Park filled with quirky monuments and the sparkling Amber Room to the quieter Alexander Palace, you'll will be pretty much entertained and impressed. Itinerary: After collecting you at the hotel, you will be taken to the small village of Pushkin, also known as Tsarskoye Selo. There you'll be guided through the outstanding Catherine Palace and park and walk through different luxurious dining rooms, monuments and statues while hearing thrilling stories, facts, dates and historical events related to Catherine the Great and the Romanov family. 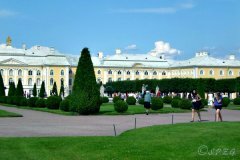 Sights covered on the tour: Catherine Palace and park; Grotto Pavilion; Palladian Bridge; Hermitage Pavilion; Alexander Palace and much more. Options: You can combine this tour with a visit to the town of Pavlovsk, or to the favorite local restaurant of Putin Podvorye. Ideal for: Family with kids, couples, friends, small or large groups of people interested to see how and where the Romanov Tsars lived in the past centuries. Note: The best way to get there is by car or by van with a local tour guide. But if you prefer to go on your own, you can rent just a car or minivan with an English speaker driver only. Group Size: Up to 4 People; Up to 6 People; Up to 20 People; Up to 45 People. A day tour to Peterhof, one of Russia's number one tourist attractions, is a great combination of relaxation, art, Russian architecture, history, fun and unique beauty. Wherever you go, you'll be walking around dozens of trick fountains, thousands of works of art, magnificent marble sculptures and applied arts as well as enjoying a peaceful atmosphere that will touch your soul. 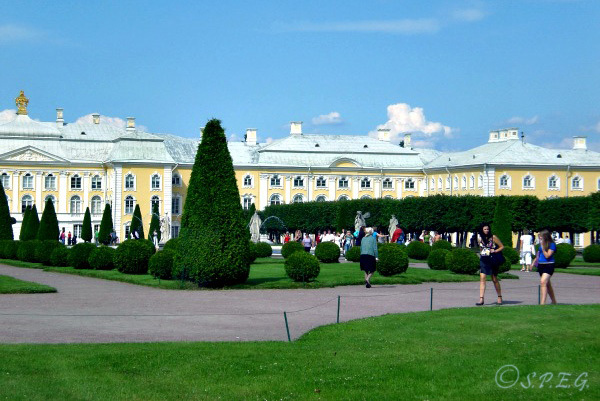 Itinerary: After collecting you at the hotel you'll be taken to Peterhof, often referred to as the "Russian Versailles". There you'll start your tour visiting the outstanding Grand Palace and gardens along with an expert local guide that will introduce you to the history of the most fascinating imperial summer residence of the Russian Tsars. Sights covered on the tour: The Great Palace; the great Cascade and Samson Fountains; the Trick Fountains and Whale Fountains; the Low Gardens and Upper Gardens and much more. 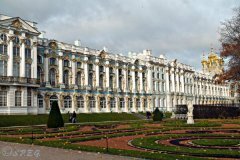 Options: You can combine this tour with a visit to the Monplaisir Palace, the Hermitage Pavilion, and the Marly Palace (the little house where Peter the Great used to organize parties for his closest friends - to add these options an extra time is required). Ideal for: Family with kids, couples, friends, small or large groups of people interested to see where and how the Tsars and Tsarinas lived during the summer between 1709 - 1724. Exclusions: Food and Drink, Headphones, Tips to the guide or driver. If you want to walk through an enchanting park with tall trees, winding streams, benches and endless paths and feel like you're a world away, then you have to plan a day trip to Pavlovsk, the youngest of the great Imperial estates around St Petersburg. There you'll see a picturesque area that was once the game-rich Tsarskoye Selo hunting grounds and beautiful neoclassical architecture. Itinerary: After collecting you at the hotel we'll take you to the small town of Pavlovsk that hosts the fascinating Pavlovsk Palace, which is encompassed by a huge 1500 acre park. There you'll be guided through the palace and park and learn about the imperial family who lived in the residence in the 18th century. Sights covered on the tour: the Pavlovsk Palace and nearby park. Options: You can combine this tour with a visit to Catherine Palace in Tsarskoye Selo (higly recommended). Ideal for: Family with kids, couples, friends, small or large groups of people interested to find a great place to get away from the city for one day. Gatchina isn't quite as popular among tourists as Peterhof or Pushkin, but it's nonetheless another engaging place to visit. 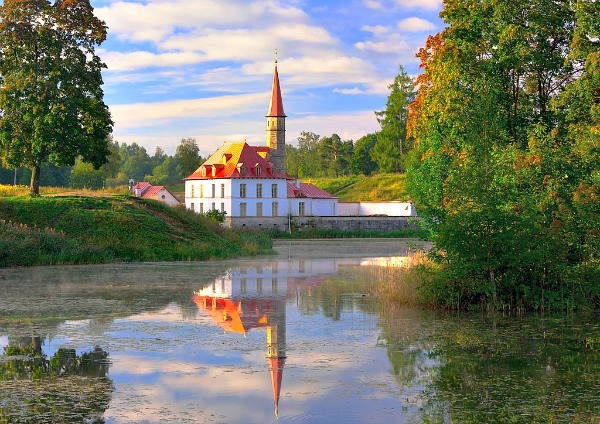 Home to the Romanov Family, Gatchina boasts beautiful architecture and natural beauty. If you go, you can enjoy various temporary and permanent exhibitions including a weaponry display hosted inside the palace. While outside you can rent a boat and row down the lake. Itinerary: After collecting you at the hotel we'll bring to Gatchina, a very popular place among locals famous for its lovely brooks and bridges. There you'll will be guided through the palace and park complex and hear interesting stories about the Romanov family as well as the history of Gatchina's Palace. Sights covered on the tour: The residence, grand in scale and design; the park with its small historical buildings still in ruin; the Priory Palace, a remarkable Gothic construction; the underground tunnel running from the palace to the lake. Ideal for: Family with kids, couples, friends, small or large groups of people interested to combine history, architecture, relaxation and nature. When: All year around, but better from May to early October. Exclusions: Food and Drink, Headphones, Tips to the guide or driver, Entrance Tickets (To buy on the spot). Once a legendary cultural center, now a world heritage listed site, Veliky Novgorod (Great Novgorod) is a very good weekend escape for anyone looking to experience the real Russia. Here you can taste the old soul of Russia, its traditions and customs plus admire unspoilt medieval architecture, impressive fortifications and Orthodox churches. Itinerary: After collecting you at the hotel we'll take you to Novgorod, an important old Russian city situated 187 kilometers from St Petersburg. There you'll will be guided through several interesting World Heritage Sites, such as monuments, churches, cathedrals, marketplaces, parks and of course the city itself, which is part of UNESCO. Sights covered on the tour: the Kremlin; St Sophia's Cathedral; the Archbishop's Court; Yaroslav's court; the Sigtun Gates; the Church of Transfiguration; the monument to the Millennium of Rus. Options: You can combine this tour with the Museum of Wooden Architecture (highly recommended). Ideal for: Family with kids, couples, friends, small or large groups of people interested to see the first and oldest city to be built in Russia. Note: The best way to get there is by car or by van with a Russian driver. Once you're there you can tour the city with a local guide recommended by us. Otherwise if you prefer to go on your own, you can rent just a car or minivan with an English speaker driver only. If you've already seen St Petersburg’s most celebrated landmarks, then it's time to visit St Petersburg's old main seaport. Go for a day trip to Kronstadt on Kotlin Island in the Gulf of Finland and get to know the fascinating naval history of this Russian military base. Breathe fresh sea air and walk in and around the town and the Byzantine style Naval Cathedral. See an array of sea forts and canals and have fun! Itinerary: After collecting you at the hotel we'll bring you to the city of Kronstadt located 30 kilometers from St. Petersburg. This old town founded by Peter the Great still has a Soviet time atmosphere, so it is a spot not to miss. There you'll be guided through the large Naval Cathedral, the adjacent square and down the streets. Sights covered on the tour: the St Nicholas Naval Cathedral; Peter the Great Canal; the towns with its sea forts and canals. Options: Once you're there you can also take a boat tour around the sea forts of the Kotlin Island, time permitting. Ideal for: Families with kids, couples, friends, small or large groups of people interested to see one of the most important Russian towns near St Petersburg. Note: The best way to get there is by car or by van with a local tour guide. But if you prefer to go on your own, you can rent just a car or minivan with an English speaker driver only. Also, if you don't mind the language, you can join an open group and get there by ship and tour the city with a Russian tour guide (Ask for more info). Exclusions: Food and Drinks, Headphones, Tips to the guide or driver, Entrance Tickets (To buy on the spot). 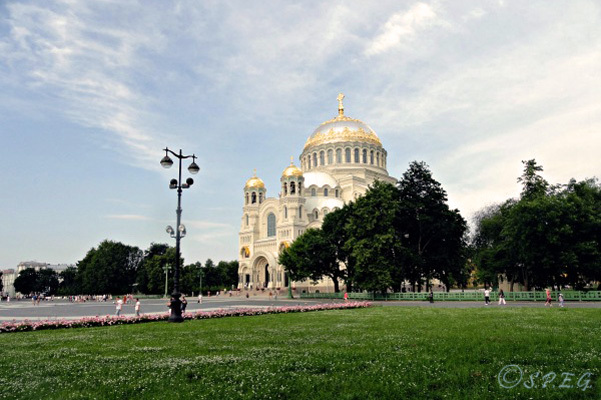 Travel to the northwest of St Petersburg and experience unique historical scenery. 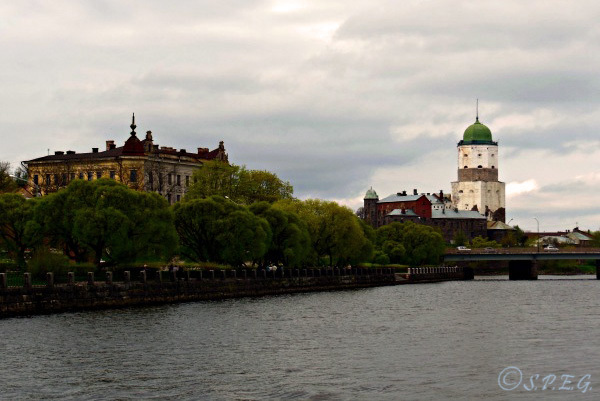 Spend a day in Vyborg and explore the magnificent Vyborg Castle. Walk in and around medieval fortifications, learn how to use a bow and arrow and see ancient weapons and customs. Enjoy a stroll along the romantic Monrepos Park, go up to the Peter Hill or stop for lunch in the historical restaurant, located in the ancient Round Tower. Itinerary: After collecting you at the hotel we'll drive to Vyborg, a small Russian town situated 130 kilometers from St. Petersburg and 37 Kilometers from the Finnish border. There you'll be guided from the historical town with its old buildings, cobbled streets and marketplace to the Vyborg castle and its museums. You'll walk up to the Peter hills, from where you can enjoy a nice view of the city, and go down to the old red square, and tour around. Sights covered on the tour: The Castle of Vyborg; the Old Town; Peter Hill; the Red Square; the Clock Tower; Park Monrepos. Ideal for: Families with kids, couples, friends, small or large groups of people interested to visit a medieval Russian city that has preserved the spirit of the middle ages. Take this tour and spend a day in Staraya Ladoga, another small and amazing Russian town that hosts beautiful 12th century churches, monasteries and a national park. 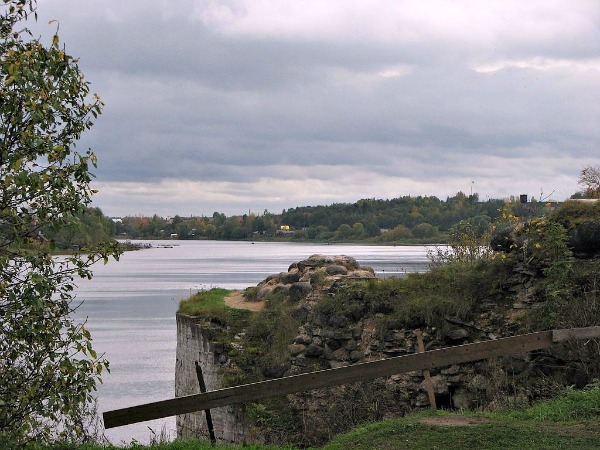 Even if Staraya Ladoga isn't as popular among tourists as other Russian cities, it can be an interesting addition to your trip to Russia, especially if you love archeology. The town itself is a site of archeological discovery, so a unique historical spot. Itinerary: After collecting you at the hotel we'll drive to Staraya Ladoga, a small town on the bank of the River Volkhov around 120 Km east of St. Petersburg. There you'll be guided through the old towers of the Ladoga Fortress, the white-stone churches and burial mounds left here by Russian tribes long ago. Also, you'll be taken through all the main sights of Staraya Ladoga and hear about the history, legends and myths of this peaceful town. Sights covered on the tour: The Ladoga Fortress and the Church of St George; the Church of the Dormition and John the Baptist; the St Nicholas Monastery; the house of the Merchant Vladimir Kaliazin; the banks of the River Volkhov. Ideal for: Families with kids, couples, friends, small or large groups of people interested to visit another interesting medieval Russian city that has preserved the spirit of the middle ages. You can travel safely on your own to any of the places mentioned above, but the language barrier may be a big issue. Because of this we recommend that you go with someone you know locally, or much better, with a private tour guide, which can make your day trip more informative, entertaining and of course stress free. The most comfortable and best way to travel outside Saint Petersburg is by car or by train. If you go by car, make sure you rent a car with a driver. Avoid taking the risk of driving by yourself. If you go by train, you don't need to buy tickets in advance, just go to the train station 30 minutes before your departure. If you're traveling on the weekend in summer, expect to travel with many Russians as they all go to their lovely Dachas. Always bring your passport and a copy of the photo page of it with you. Credits cards aren't always accepted in Russia, especially in some small towns where you can find only simple cafes or restaurants. So make sure you bring enough cash and small change with you to avoid any payment problems. It is best practice to check the museum, church or cathedral website for additional information, service timetables and price updates before you go. Avoid taking the local bus to get to the places I mentioned because by bus the trip takes longer, is crowded, and uncomfortable. But if you travel on a low budget then this can be your best choice as the bus is cheap. If you want to book any of our Day Tours from St Petersburg listed here, please get in touch with us in advance.